Since moving to the United States from Communist China in 1983, Ju Hong Chen has become an established illustrator. His first picture book, The Magic Leaf, was named a Parents Choice Honor Book for illustration. The first book he illustrated for Pelican, The Jade Stone, received a starred review from Kirkus. Chens art has been featured in such museums and galleries as the Maryhill Museum of Art in Washington, Tweed Museum of Art in Minnesota, and the Ron Segal Gallery in Seattle. He is also known for his murals in and around Washington State. Growing up in Shanghai, China, Chen was always excited to learn about art. Before the Cultural Revolution of the 1960s, he was able to gain some exposure to various prints, books, and paintings from traveling exhibits. This inspired him to experiment with new styles in his own creations. However, as the revolution arrived and art was considered a political tool of social control, Chen lacked the opportunity to practice his individualistic approach. Combining his appreciation of design with his desire to create, Chen learned about his craft on his own terms, avoiding the official training available within the Communist government. His own unfettered approach gave him the dynamic to express himself as an individual. 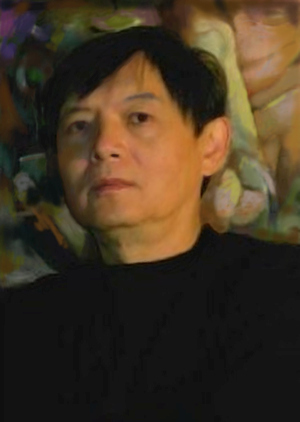 For half a century in China, he created numerous paintings with various subject matters and unique styles, which are collected by people around the world. His works are influenced by the many marvels, both classic and modern, that are available in todays art world. Chen lives with his wife and daughter in Beaverton, Oregon.